Emoji is the "fastest-growing new language ever"; and you're probably already fluent. Since its arrival to our smartphones, we've been using emoji as punctuation, or to convey our moods, or even as weird obscure in-jokes. But little did we realise that all this time, we were basically assimilating a new language. A new study from TalkTalk Mobile and Bangor University linguistics professor Vyv Evans has shown that emoji is "the fastest growing form of language ever based on its incredible adoption rate and speed of evolution." "As a visual language emoji has already far eclipsed hieroglyphics, its ancient Egyptian precursor which took centuries to develop," explains Evans, after a survey taken on the streets of London revealed that 8 in 10 people in the UK are communicating with their emoji keyboard. 4 in 10 even admit to regularly sending messages composed entirely of emoji; so we're getting better at understanding it than others may think. 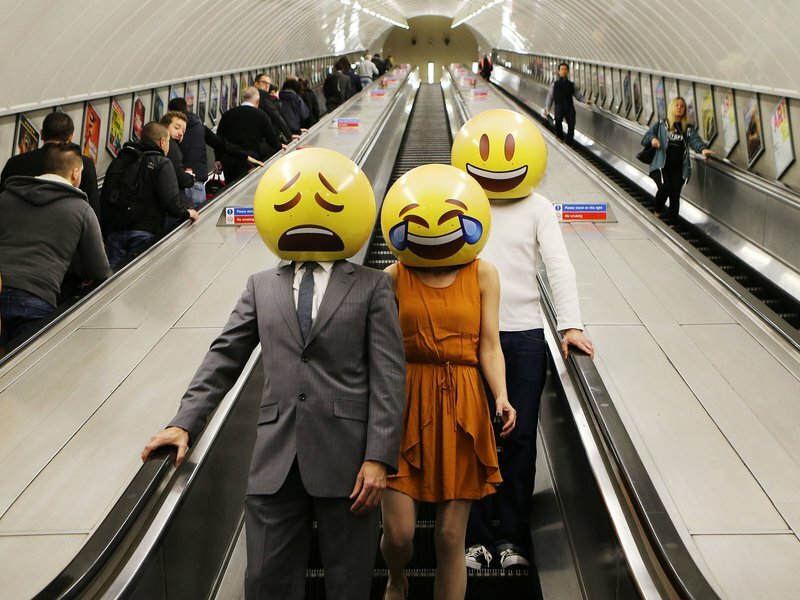 The survey took place to promote TalkTalk's new lowest-priced unlimited SIM card in Britain, and featured emoji-headed characters walking around the city. Because that's not terrifying. "Given the utility and added value provided by emoji, their usage is expected to increase exponentially across all age and cultural groups," adds Professor Evans. "Unlike natural languages such as English, emoji is almost universally recognisable because it exploits the visual representation system." 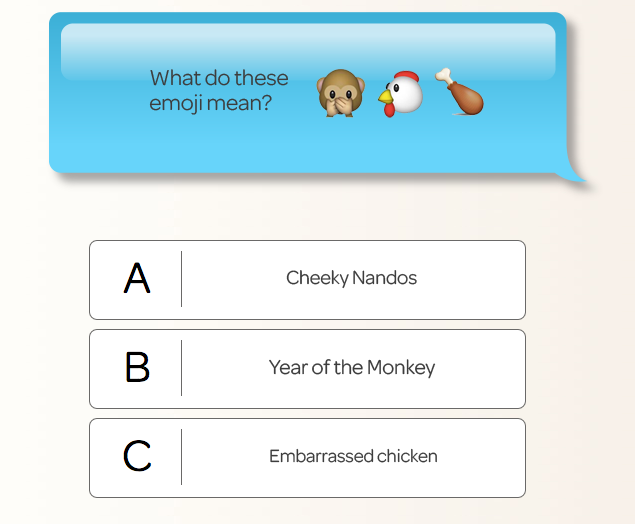 "Emoji won't replace traditional languages but it will increasingly be used to enhance them." Not everyone is learning their newfound language so quickly, though; over half people aged over 40 have a hard time trying to figure out what the symbols mean. Popular confusing ones include use of the hallelujah hands, the shifty eyes and the dancing girl. Watch Charli XCX's Emoji Filled Music Video For "Famous"